A string quartet or harpist adds a wonderful ambience to a church, drinks reception and even dinner, bringing a glamorous and traditional air to any venue, from the beach to a 17th-century cathedral. Tradition meets trends: Just because they are using classical instruments doesn’t mean they’ll only play classical music—some string quartets or harpists will offer an old-fashioned repertoire, whereas others will perform instrumental versions of modern hits, so it's up to you to find the right fit. Most are available for performances of around three hours, which means you can glide from the ceremony to the drinks reception with the prettiest choice of background music. While string quartets may not pack the dancefloor, there is no better way for creating a sense of early-evening romance. A great band is the best way to ensure that your guests are twisting and twirling all night long—so get them playing straight after dinner. Choosing well is arguably the most important factor in making your reception a success, so don't hire someone without doing your research. Find the right fit: It's important to ask them a few questions to find out if their style will work with the ambience you're going for. For example, if you’re planning a chic black-tie cocktail party, a hard-core rock and roll band is simply not going to work. If possible, try to see them play live before you book. Don't skimp: This is not an area to try to save a few dollars on. “I would say the most common mistake most people make when picking a band is they simply choose an affordable band to perform in one of the most important events in their lives, their weddings,” says Michelle Lo from Hong Kong’s Deans Live Music. 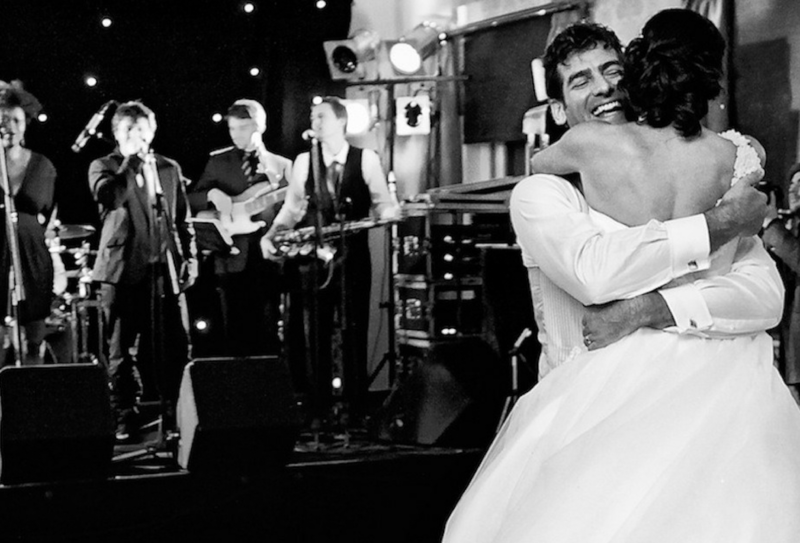 Pick the right DJ and your guests will be on the dancefloor all night long. It definitely doesn't hurt to ask for references, especially from former brides, who will tell you if a particular DJ made the cardinal sin of misreading the crowd or was the life and soul of the party. The perfect playlist: Work out in advance if you want a DJ who sticks religiously to your personally curated playlist, or whether you’d be happy for the DJ to go off-piste a few times. If it’s the former, get your playlist to the DJ as early as possible, as each one has a different system, and many involve placing your music on their master systems. Finally, decide whether you’re happy for the DJ to take requests from your friends and family and, if so, whether there are any Do Not Play tracks you really don’t want to hear on the big day (think songs that remind you of your ex or that your family won’t approve of). Make your wedding a smooth and sophisticated affair with the crooning vocals of a singer who can recreate the sounds of jazz-era musicians like Frank Sinatra or Etta James. Start with a single sax player at your drinks reception, who can then join the band later in the evening to play classics by everyone from Charlie Parker to Michael Bublé. All about ambience: Michelle Lo of Deans Live Music suggests a variety of jazz throughout the evening, from the single sax for drinks; jazzy, romantic music with vocalists over dinner; followed by bossa nova, blues, R&B and romantic pop to dance the night away. Few things delight guests more than a cappella, which provides a unique flair to your wedding. Whether it's a vocal group or beatboxers, they're sure to astonish with their ability to deliver the best in every music genre using their voices alone. Make it personal: One of the best things about an a capella group is that they can customise their performance to suit the style of your wedding (vintage, rock ’n’ roll, glamorous, etc.) and write songs specifically for the happy couple.